Autor: Björn Oskarsson,; Tania F. Gendron, Nathan Mayo Clin Proc. 2018;93(11):1617-1628. 1. Charcot JM, Joffroy A. Deux cas d’atrophie musculaire progressive avec lesions de la substance grise et des faisceaux antero-lateraux de la moelle epiniere. Arch Physiol Neurol Pathol. 1869;2:744-754. 2. Mehta P, Kaye W, Bryan L, et al. Prevalence of amyotrophic lateral sclerosisdUnited States, 2012-2013. MMWR Surveill Summ. 2016;65(8):1-12. 3. Sorenson EJ, Stalker AP, Kurland LT, Windebank AJ. Amyotrophic lateral sclerosis in Olmsted County, Minnesota, 1925 to 1998. Neurology. 2002;59(2):280-282. 4. Al-Chalabi A, Hardiman O. The epidemiology of ALS: a conspiracy of genes, environment and time. Nat Rev Neurol. 2013; 9(11):617-628. 5. DeJesus-Hernandez M, Mackenzie IR, Boeve BF, et al. Expanded GGGGCC hexanucleotide repeat in noncoding región of C9ORF72 causes chromosome 9p-linked FTD and ALS. Neuron. 2011;72(2):245-256. 6. Renton AE, Majounie E, Waite A, et al. A hexanucleotide repeat expansion in C9ORF72 is the cause of chromosome 9p21-linked ALS-FTD. Neuron. 2011;72(2):257-268. 7. van Eijk RPA, Jones AR, Sproviero W, et al. Meta-analysis of pharmacogenetic interactions in amyotrophic lateral sclerosis clinical trials. Neurology. 2017;89(18):1915-1922. 8. Oskarsson B, Horton DK, Mitsumoto H. Potential environmental factors in amyotrophic lateral sclerosis. Neurol Clin. 2015;33(4):877-888. 9. Neumann M, Sampathu DM, Kwong LK, et al. Ubiquitinated TDP-43 in frontotemporal lobar degeneration and amyotrophic lateral sclerosis. Science. 2006;314(5796):130-133. 10. Arai T, Hasegawa M, Akiyama H, et al. TDP-43 is a component of ubiquitin-positive tau-negative inclusions in frontotemporal lobar degeneration and amyotrophic lateral sclerosis. Biochem Biophys Res Commun. 2006;351(3):602-611. 11. Sreedharan J, Blair IP, Tripathi VB, et al. TDP-43 mutations in familial and sporadic amyotrophic lateral sclerosis. Science. 2008;319(5870):1668-1672. 12. Yokoseki A, Shiga A, Tan CF, et al. TDP-43 mutation in familial amyotrophic lateral sclerosis. Ann Neurol. 2008;63(4):538-542. 13. Gitcho MA, Baloh RH, Chakraverty S, et al. TDP-43 A315T mutation in familial motor neuron disease. Ann Neurol. 2008;63(4):535-538. 14. Kabashi E, Valdmanis PN, Dion P, et al. TARDBP mutations in individuals with sporadic and familial amyotrophic lateral sclerosis. Nat Genet. 2008;40(5):572-574. 15. Rutherford NJ, Zhang YJ, Baker M, et al. Novel mutations in TARDBP (TDP-43) in patients with familial amyotrophic lateral sclerosis. PLoS Genet. 2008;4(9):e1000193. 16. Van Deerlin VM, Leverenz JB, Bekris LM, et al. TARDBP mutations in amyotrophic lateral sclerosis with TDP-43 neuropathology: a genetic and histopathological analysis. Lancet Neurol. 2008;7(5):409-416. 17. Del Bo R, Ghezzi S, Corti S, et al. TARDBP (TDP-43) sequence analysis in patients with familial and sporadic ALS: identification of two novel mutations. Eur J Neurol. 2009;16(6):727-732. 18. Lemmens R, Race V, Hersmus N, et al. TDP-43 M311V mutation in familial amyotrophic lateral sclerosis. J Neurol Neurosurg Psychiatry. 2009;80(3):354-355. 19. Corrado L, Ratti A, Gellera C, et al. High frequency of TARDBP gene mutations in Italian patients with amyotrophic lateral sclerosis. Hum Mutat. 2009;30(4):688-694. 20. Daoud H, Valdmanis PN, Kabashi E, et al. Contribution of TARDBP mutations to sporadic amyotrophic lateral sclerosis. J Med Genet. 2009;46(2):112-114. 21. Kuhnlein P, Sperfeld AD, Vanmassenhove B, et al. Two German kindreds with familial amyotrophic lateral sclerosis due to TARDBP mutations. Arch Neurol. 2008;65(9):1185-1189. 22. Gendron TF, Josephs KA, Petrucelli L. Review: transactive response DNA-binding protein 43 (TDP-43): mechanisms of neurodegeneration. Neuropathol Appl Neurobiol. 2010;36(2):97-112. 23. Ling SC, Polymenidou M, Cleveland DW. Converging mechanisms in ALS and FTD: disrupted RNA and protein homeostasis. Neuron. 2013;79(3):416-438. 24. Mackenzie IR, Nicholson AM, Sarkar M, et al. TIA1 mutations in amyotrophic lateral sclerosis and frontotemporal dementia promote phase separation and alter stress granule dynamics. Neuron. 2017;95(4):808-816.e9. 25. Guil S, Long JC, Caceres JF. hnRNP A1 relocalization to the stress granules reflects a role in the stress response. Mol Cell Biol. 2006;26(15):5744-5758. 26. Panas MD, Ivanov P, Anderson P. Mechanistic insights into mammalian stress granule dynamics. J Cell Biol. 2016;215(3): 313-323. 27. Lee KH, Zhang P, Kim HJ, et al. C9orf72 dipeptide repeats impair the assembly, dynamics, and function of membraneless organelles. Cell. 2016;167(3):774-788.e17. 28. Wen X, Tan W, Westergard T, et al. Antisense prolinearginine RAN dipeptides linked to C9ORF72-ALS/FTD form toxic nuclear aggregates that initiate in vitro and in vivo neuronal death. Neuron. 2014;84(6):1213-1225. 29. Tao Z, Wang H, Xia Q, et al. Nucleolar stress and impaired stress granule formation contribute to C9orf72 RAN translation-induced cytotoxicity. Hum Mol Genet. 2015;24(9): 2426-2441. 30. Yamakawa M, Ito D, Honda T, et al. Characterization of the dipeptide repeat protein in the molecular pathogenesis of c9FTD/ALS. Hum Mol Genet. 2015;24(6):1630-1645. 31. Ramesh N, Pandey UB. Autophagy dysregulation in ALS: when protein aggregates get out of hand. Front Mol Neurosci. 2017;10:263. 32. Parkinson N, Ince PG, Smith MO, et al. ALS phenotypes with mutations in CHMP2B (charged multivesicular body protein 2B). Neurology. 2006;67(6):1074-1077. 33. Skibinski G, Parkinson NJ, Brown JM, et al. Mutations in the endosomal ESCRTIII-complex subunit CHMP2B in frontotemporal dementia. Nat Genet. 2005;37(8):806-808. 34. Maruyama H, Morino H, Ito H, et al. Mutations of optineurin in amyotrophic lateral sclerosis. Nature. 2010;465(7295):223-226. 35. Fecto F, Yan J, Vemula SP, et al. SQSTM1 mutations in familial and sporadic amyotrophic lateral sclerosis. Arch Neurol. 2011; 68(11):1440-1446. 36. Cirulli ET, Lasseigne BN, Petrovski S, et al. Exome sequencing in amyotrophic lateral sclerosis identifies risk genes and pathways. Science. 2015;347(6229):1436-1441. 37. Freischmidt A, Wieland T, Richter B, et al. Haploinsufficiency of TBK1 causes familial ALS and fronto-temporal dementia. Nat Neurosci. 2015;18(5):631-636. 38. Deng HX, Chen W, Hong ST, et al. Mutations in UBQLN2 cause dominant X-linked juvenile and adult-onset ALS and ALS/dementia. Nature. 2011;477(7363):211-215. 39. Johnson JO, Mandrioli J, Benatar M, et al. Exome sequencing reveals VCP mutations as a cause of familial ALS. Neuron. 2010;68(5):857-864. 40. Monahan Z, Shewmaker F, Pandey UB. Stress granules at the intersection of autophagy and ALS. Brain Res. 2016; 1649(pt B):189-200. 41. Gendron TF, Petrucelli L. Disease mechanisms of C9ORF72 repeat expansions. Cold Spring Harb Perspect Med. 2018;8(4). 42. Gao FB, Almeida S, Lopez-Gonzalez R. Dysregulated molecular pathways in amyotrophic lateral sclerosisfrontotemporal dementia spectrum disorder. EMBO J. 2017;36(20):2931-2950. 43. Rothstein JD. Current hypotheses for the underlying biology of amyotrophic lateral sclerosis. Ann Neurol. 2009; 65(suppl 1):S3-S9. 44. Tripathi P, Rodriguez-Muela N, Klim JR, et al. Reactive astrocytes promote ALS-like degeneration and intracellular protein aggregation in human motor neurons by disrupting autophagy through TGF-b1. Stem Cell Reports. 2017;9(2):667-680. 45. Lall D, Baloh RH. Microglia and C9orf72 in neuroinflammation and ALS and frontotemporal dementia. J Clin Invest. 2017; 127(9):3250-3258. 46. O’Rourke JG, Bogdanik L, Yanez A, et al. C9orf72 is required for proper macrophage and microglial function in mice. Science. 2016;351(6279):1324-1329. 47. Ferraiuolo L, Meyer K, Sherwood TW, et al. Oligodendrocytes contribute to motor neuron death in ALS via SOD1- dependent mechanism. Proc Natl Acad Sci U S A. 2016; 113(42):E6496-E6505. 48. Ravits J, Laurie P, Fan Y, Moore DH. Implications of ALS focality: rostral-caudal distribution of lower motor neuron los postmortem. Neurology. 2007;68(19):1576-1582. 49. Ayers JI, Fromholt SE, O’Neal VM, Diamond JH, Borchelt DR. Prion-like propagation of mutant SOD1 misfolding and motor neuron disease spread along neuroanatomical pathways. Acta Neuropathol. 2016;131(1):103-114. 50. Miller RG, Jackson CE, Kasarskis EJ, et al. Practice parameter update: the care of the patient with amyotrophic lateral sclerosis: multidisciplinary care, symptom management, and cognitive/behavioral impairment (an evidence-based review): report of the Quality Standards Subcommittee of the American Academy of Neurology. Neurology. 2009;73(15):1227-1233. 51. Miller RG, Jackson CE, Kasarskis EJ, et al. Practice parameter update: the care of the patient with amyotrophic lateral sclerosis: drug, nutritional, and respiratory therapies (an evidencebased review): report of the Quality Standards Subcommittee of the American Academy of Neurology. Neurology. 2009;73(15):1218-1226. 52. Andersen PM, Abrahams S, Borasio GD, et al. EFNS guidelines on the clinical management of amyotrophic lateral sclerosis (MALS): revised report of an EFNS task force. Eur J Neurol. 2012;19(3):360-375. 53. Motor Neurone Disease: Assessment and Management. London, England: National Institute for Health and Care Excellence; 2016. NICE guideline NG42. 54. Boylan K, Levine T, Lomen-Hoerth C, et al. Prospective study of cost of care at multidisciplinary ALS centers adhering to American Academy of Neurology (AAN) ALS practice parameters. Amyotroph Lateral Scler Frontotemporal Degener. 2015;17(1-2):119-127. 55. Paganoni S, Nicholson K, Leigh F, et al. Developing multidisciplinary clinics for neuromuscular care and research. Muscle Nerve. 2017;56(5):848-858. 56. Van De Rijn M, Paganoni S, Levine-Weinberg M, et al. Experience with telemedicine in a multi-disciplinary ALS clinic. Amyotroph lateral scler frontotemporal degener. 2018;19(1-2):143-148. 57. Lacomblez L, Bensimon G, Leigh PN, Guillet P, Meininger V; Amyotrophic Lateral Sclerosis/Riluzole Study Group II. Dose-ranging study of riluzole in amyotrophic lateral sclerosis. Lancet. 1996;347(9013):1425-1431. 58. Bensimon G, Lacomblez L, Meininger V; ALS/Riluzole Study Group. A controlled trial of riluzole in amyotrophic lateral sclerosis. N Engl J Med. 1994;330(9):585-591. 59. Seibold H, Zeileis A, Hothorn T. Model-based recursive partitioning for subgroup analyses. Int J Biostat. 2016;12(1):45-63. 60. Bedlack RS, Joyce N, Carter GT, Paganoni S, Karam C. Complementary and alternative therapies in amyotrophic lateral sclerosis. Neurol Clin. 2015;33(4):909-936. 61. Rush B. Living with ALS: changes in thinking and behavior in ALS. In: Jacksonville MC, ed. ALS Association; 2017:1-18.http://www.alsa.org/assets/pdfs/living-with-als-manuals/lwals_03_2017.pdf. Accessed June 4, 2018. 62. Thakore NJ, Pioro EP. Laughter, crying and sadness in ALS. J Neurol Neurosurg Psychiatry. 2017;88(10):825-831. 63. Cummings JL, Arciniegas DB, Brooks BR, et al. Defining and diagnosing involuntary emotional expression disorder. CNS Spectr. 2006;11(S6):1-7. 64. Pioro EP. Current concepts in the pharmacotherapy of pseudobulbar affect. Drugs. 2011;71(9):1193-1207. 65. Carvalho TL, de Almeida LM, Lorega CM, et al. Depression and anxiety in individuals with amyotrophic lateral sclerosis: a systematic review. Trends Psychiatry Psychother. 2016;38(1): 1-5. 66. Paganoni S, McDonnell E, Schoenfeld D, et al. Functional decline is associated with hopelessness in amyotrophic lateral sclerosis (ALS). J Neurol Neurophysiol. 2017;8(2). 67. Carter GT, Weiss MD, Lou JS, et al. Modafinil to treat fatigue in amyotrophic lateral sclerosis: an open label pilot study. Am J Hosp Palliat Care. 2005;22(1):55-59. 68. Wallace VC, Ellis CM, Burman R, Knights C, Shaw CE, Al- Chalabi A. The evaluation of pain in amyotrophic lateral sclerosis: a case controlled observational study. Amyotroph Lateral Scler Frontotemporal Degener. 2014;15(7-8):520-527. 69. Weiss MD, Macklin EA, Simmons Z, et al. A randomized trial of mexiletine in ALS: safety and effects on muscle cramps and progression. Neurology. 2016;86(16):1474-1481. 70. El-Tawil S, Al Musa T, Valli H, et al. Quinine for muscle cramps. Cochrane Database Syst Rev. 2015;4:CD005044. 71. Oskarsson B, Moore D, Mozaffar T, et al. Mexiletine for muscle cramps in amyotrophic lateral sclerosis: a randomized double-blind crossover trial [published online March 6, 2018]. Muscle Nerve. https://doi.org/10.1002/mus.26117. 72. Radunovic A, Annane D, Rafiq MK, Brassington R, Mustfa N. Mechanical ventilation for amyotrophic lateral sclerosis/motor neuron disease. Cochrane Database Syst Rev. 2017;10: CD004427. 73. Berlowitz DJ, Howard ME, Fiore JF Jr, et al. Identifying who Will benefit from non-invasive ventilation in amyotrophic lateral sclerosis/motor neurone disease in a clinical cohort. J Neurol Neurosurg Psychiatry. 2016;87(3):280-286. 74. Sancho J, Servera E, Morelot-Panzini C, Salachas F, Similowski T, Gonzalez-Bermejo J. Non-invasive ventilation effectiveness and the effect of ventilatory mode on survival in ALS patients. Amyotroph Lateral Scler Frontotemporal Degener. 2014;15(1-2):55-61. 75. Nicholson TT, Smith SB, Siddique T, et al. Respiratory pattern and tidal volumes differ for pressure support and volumeassured pressure support in amyotrophic lateral sclerosis. Ann Am Thorac Soc. 2017;14(7):1139-1146. 76. Rabkin J, Ogino M, Goetz R, et al. Japanese and American ALS patient preferences regarding TIV (tracheostomy with invasive ventilation): a cross-national survey. Amyotroph Lateral Scler Frontotemporal Degener. 2014;15(3-4):185-191. 77. Lechtzin N, Shade D, Clawson L, Wiener CM. Supramaximal inflation improves lung compliance in subjects with amyotrophic lateral sclerosis. Chest. 2006;129(5):1322-1329. 78. Gonzalez-Bermejo J, Morelot-Panzini C, Tanguy ML, et al. Early diaphragm pacing in patients with amyotrophic lateral sclerosis (RespiStimALS): a randomised controlled tripleblind trial. Lancet Neurol. 2016;15(12):1217-1227. 79. DiPALS Writing Committee; DiPALS Study Group Collaborators. Safety and efficacy of diaphragm pacing in patients with respiratory insufficiency due to amyotrophic lateral sclerosis (DiPALS): a multicentre, open-label, randomised controlled trial. Lancet Neurol. 2015;14(9):883-892. 80. Kasarskis EJ, Mendiondo MS, Matthews DE, et al. Estimating daily energy expenditure in individuals with amyotrophic lateral sclerosis. Am J Clin Nutr. 2014;99(4):792-803. 81. Marin B, Arcuti S, Jesus P, et al. Population-based evidence that survival in amyotrophic lateral sclerosis is related to weight los at diagnosis. Neurodegener Dis. 2016;16(3-4):225-234. 82. Karam C, Barrett MJ, Imperato T, MacGowan DJ, Scelsa S. Vitamin D deficiency and its supplementation in patients with amyotrophic lateral sclerosis. J Clin Neurosci. 2013;20(11):1550-1553. 83. Paganoni S, Macklin EA, Karam C, et al. Vitamin D levels are associated with gross motor function in amyotrophic lateral sclerosis. Muscle Nerve. 2017;56(4):726-731. 84. McDonnell E, Schoenfeld D, Paganoni S, Atassi N. Causal inference methods to study gastric tube use in amyotrophic lateral sclerosis. Neurology. 2017;89(14):1483-1489. 85. Katzberg HD, Benatar M. Enteral tube feeding for amyotrophic lateral sclerosis/motor neuron disease. Cochrane Database Syst Rev. 2011;1:CD004030. 86. McGeachan AJ, Hobson EV, Al-Chalabi A, et al. A multicentre evaluation of oropharyngeal secretion management practices in amyotrophic lateral sclerosis. Amyotroph Lateral Scler Frontotemporal Degener. 2017;18(1-2):1-9. 87. 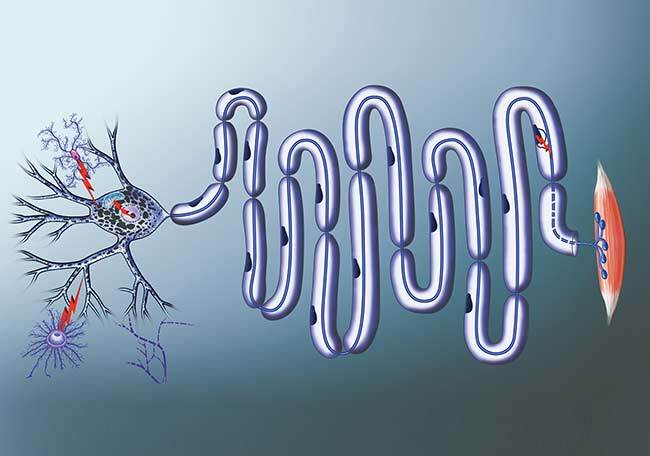 Banfi P, Ticozzi N, Lax A, Guidugli GA, Nicolini A, Silani V. A review of options for treating sialorrhea in amyotrophic lateral sclerosis. Respir Care. 2015;60(3):446-454. 88. Connors KA, Mahony LM, Morgan P. Adaptive equipment use by people with motor neuron disease in Australia: a prospective, observational consecutive cohort study. Disabil Rehabil Assist Technol. 2017:1-6. 89. Chang E, Ghosh N, Yanni D, Lee S, Alexandru D, Mozaffar T. A review of spasticity treatments: pharmacological and interventional approaches. Crit Rev Phys RehabilMed. 2013;25(1-2):11-22. 90. Piccione EA, Sletten DM, Staff NP, Low PA. Autonomic system and amyotrophic lateral sclerosis. Muscle Nerve. 2015; 51(5):676-679. 91. Neudert C, Oliver D, Wasner M, Borasio GD. The course of the terminal phase in patients with amyotrophic lateral sclerosis. J Neurol. 2001;248(7):612-616. 92. Wang LH, Elliott MA, Jung Henson L, et al. Death with dignity in Washington patients with amyotrophic lateral sclerosis. Neurology. 2016;87(20):2117-2122. 93. European Network to Cure of ALS. ENCALS Statement on Edaravone. Ljubljana, Slovenia: European Network to Cure of ALS; 2017. 94. Writing Group; Edaravone (MCI-186) ALS 19 tudy Group. Safety and efficacy of edaravone in well defined patients with amyotrophic lateral sclerosis: a randomised, doubleblind, placebo-controlled trial. Lancet Neurol. 2017;16(7):505-512. 95. Abe K, Itoyama Y, Sobue G, et al. Confirmatory double-blind, parallel-group, placebo-controlled study of efficacy and safety of edaravone (MCI-186) in amyotrophic lateral sclerosis patients. Amyotroph Lateral Scler Frontotemporal Degener. 2014; 15(7-8):610-617. 96. Approval letter. Food and Drug Administration; 2017. https://www.accessdata.fda.gov/drugsatfda_docs/nda/2017/209176Orig1s000Approv.pdf. Accessed May 14, 2018. 97. Crisan M, Yap S, Casteilla L, et al. A perivascular origin for mesenchymal stem cells in multiple human organs. Cell Stem Cell. 2008;3(3):301-313. 98. Seppanen E, Roy E, Ellis R, Bou-Gharios G, Fisk NM, Khosrotehrani K. Distant mesenchymal progenitors contribute to skin wound healing and produce collagen: evidence from a murine fetal microchimerism model. PLoS One. 2013;8(5): e62662. 99. Staff NP, Madigan NN, Morris J, et al. Safety of intratecal autologous adipose-derived mesenchymal stromal cells in patients with ALS. Neurology. 2016;87(21):2230-2234. 100. Karussis D, Karageorgiou C, Vaknin-Dembinsky A, et al. Safety and immunological effects of mesenchymal stem cell transplantation in patients with multiple sclerosis and amyotrophic lateral sclerosis. Arch Neurol. 2010;67(10):1187-1194. 101. Oh KW, Moon C, Kim HY, et al. Phase I trial of repeated intratecal autologous bone marrow-derived mesenchymal stromal cells in amyotrophic lateral sclerosis. Stem Cells Transl Med. 2015;4(6):590-597. 102. Mazzini L, Mareschi K, Ferrero I, et al. Mesenchymal stromal cell transplantation in amyotrophic lateral sclerosis: a longterm safety study. Cytotherapy. 2012;14(1):56-60. 103. Petrou P, Gothelf Y, Argov Z, et al. Safety and clinical effects of mesenchymal stem cells secreting neurotrophic factor transplantation in patients with amyotrophic lateral sclerosis: results of phase 1/2 and 2a clinical trials. JAMA Neurol. 2016;73(3):337-344. 104. Madigan NN, Staff NP, Windebank AJ, Benarroch EE. Genome editing technologies and their potential to treat neurologic disease. Neurology. 2017;89(16):1739-1748. 105. Petrou P, Argov A, Lennon VA, et al. Rare combination of myasthenia and motor neuronopathy, responsive to MSCNTF stem cell therapy. Muscle Nerve. 2014;49(3):455-457. 106. Safety and efficacy of repeated administrations of NurOwn_ in ALS patients. Clinical Trials.gov website. https://clinicaltrials. gov/ct2/show/NCT03280056. 2017. 107. Feldman EL, Boulis NM, Hur J, et al. Intraspinal neural stem cell transplantation in amyotrophic lateral sclerosis: phase 1 trial outcomes. Ann Neurol. 2014;75(3):363-373. 108. Mazzini L, Gelati M, Profico DC, et al. Human neural stem cell transplantation in ALS: initial results from a phase I trial. J Transl Med. 2015;13:17. 109. Glass JD, Hertzberg VS, Boulis NM, et al. Transplantation of spinal cord-derived neural stem cells for ALS: analysis of pase 1 and 2 trials. Neurology. 2016;87(4):392-400. 110. CNS10-NPC-GDNF for the treatment of ALS. Clinicaltrials. gov website. https://clinicaltrials.gov/ct2/show/NCT02943850. 2017. 111. Study to investigate the safety of the transplantation (by injection) of human glial restricted progenitor cells (hGRPs; QCells_) into subjects with amyotrophic lateral sclerosis (ALS). ClinicalTrials.gov website. https://clinicaltrials.gov/ct2/show/NCT02478450. 2017. 112. Trias E, Ibarburu S, Barreto-Nunez R, et al. Evidence for mast cells contributing to neuromuscular pathology in an inherited model of ALS. JCI Insight. 2017;2(20). 113. Petrov D, Mansfield C, Moussy A, Hermine O. ALS clinical trials review: 20 years of failure: are we any closer to registering a new treatment? Front Aging Neurosci. 2017;9:68. 114. Miller TM, Pestronk A, David W, et al. An antisense oligonucleotide against SOD1 delivered intrathecally for patients with SOD1 familial amyotrophic lateral sclerosis: a phase 1, randomised, first-in-man study. Lancet Neurol. 2013;12(5):435-442. 115. Gendron TF, Chew J, Stankowski JN, et al. Poly(GP) proteins are a useful pharmacodynamic marker for C9ORF72-associated amyotrophic lateral sclerosis. Sci Transl Med. 2017;9(383). 116. Jiang J, Zhu Q, Gendron TF, et al. Gain of toxicity from ALS/FTD-linked repeat expansions in C9ORF72 is alleviated by antisense oligonucleotides targeting GGGGCC-containing RNAs. Neuron. 2016;90(3):535-550. Jugadores de fútbol, ¿mayor riesgo esclerosis lateral amiotrófica? ¿Protegen los IECA contra la ELA?